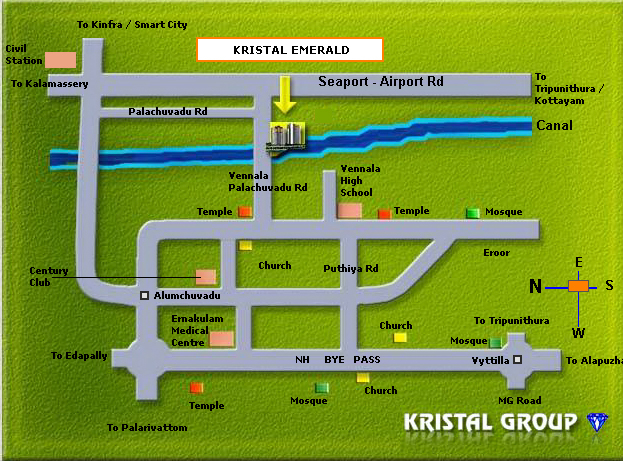 Kristal Emerald Premium & Deluxe apartments located on wide Palachuvad Vennala road of Kochi, With proximity to Kakkanad, the IT city of Kochi. Vennala, as a place provides shortest connections to both Seaport Airport Road and NH - 47 Cochin by pass which gives easy accessibility to Railway Stations and Cochin International Airport. Emerald provides easy access to schools, hospitals and shopping centres. 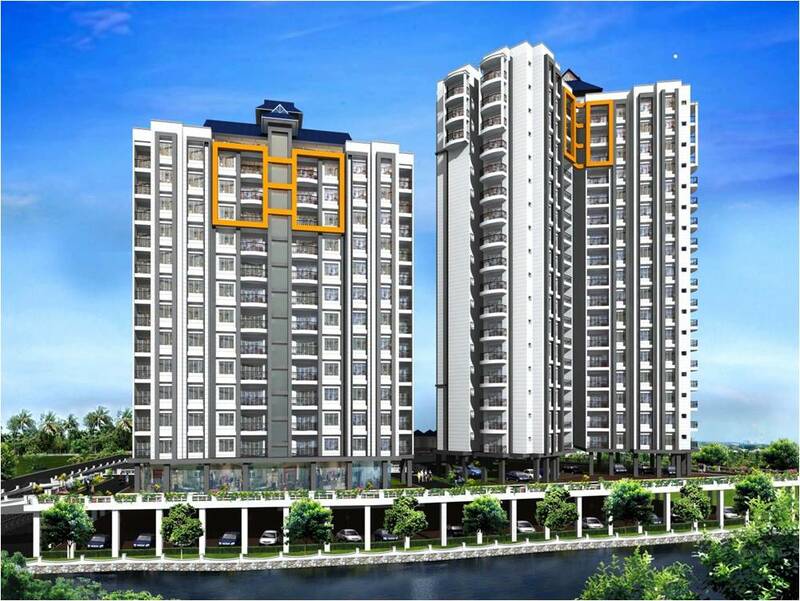 Emerald provides two options in living with Premium apartments on G + 12 structure and Deluxe apartments on G + 17 structure. More details of the project contact : + 91 93872 21110 . Super Built up Area - 1133 Sq.ft to 1516 Sq.ft. RCC frame structure with Footings, Columns, Beams, Slabs etc as per approved structural designs. Foundation is Raft / RCC cast in situ piles resting on hard strata as per structural feasibility. Walls built with good quality country burnt bricks / blocks in cement mortar. Main door is of Teak wood lacquer polished. All other doors are ready made doors with country wood frames. Best quality Vitrified tiles for Living / Dining & Bedrooms. Best quality ceramic tiles for flooring. Kitchen to have tiles with border along with 60cm dadoing over counter. Granite Top counter and stainless steel sink with drain boards in kitchen. All internal walls plastered in cement mortar and painted with Acrylic emulsion paint over putty finish.External wall plastered with cement mortar, added with water proofing compound and finished with weather coat paint or equivalent. Elevators of 8 and 13 passenger capacity will be provided as per design. One loft in all bedrooms and kitchen. Covered parking will be provided. Sewage and water treatment plants will be provided. Flooring of passages, lift and staircase area will be of granite or equivalent, MS hand rails for staircase and corridor. Servent's toilets in ground floor or in Club House.